The Daily Mile Initiative was set up to improve the health and wellbeing of pupils by encouraging a walk or run of 15 minutes every day. Sport England have pledged £1.5 million of National Lottery Funding to the Daily Mile scheme to help support schools looking to implement the initiative and better the level of physical activity in young children. Go to the Sport England website to find out more about how you can secure funding for your school. We installed a Daily Mile Track at St Edmund Campion Primary School to help their pupils keep up a routine of regular exercise alongside their studies. They opted for a brightly coloured track which makes it easy for pupils to follow, and we’ve installed it with curved corners to help keep a smooth flow of activity. It’s also not a requirement that a whole field be covered in order to install a track, as you can see at St Edmund’s the track has been installed alongside natural grass. 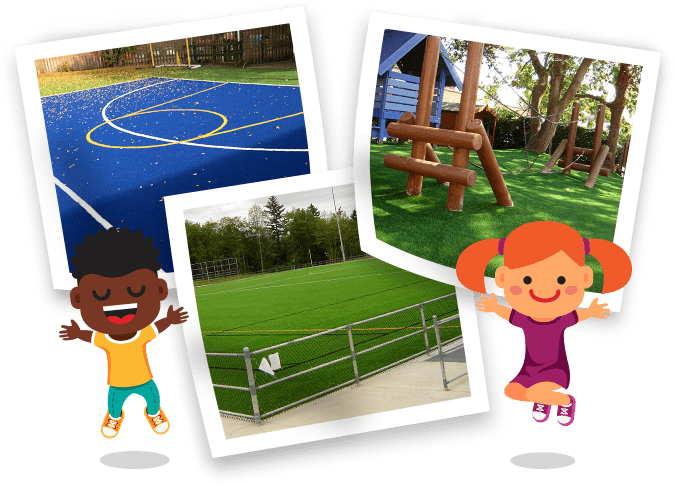 Trulawn Trail is specifically designed for children’s activity areas, and is ideal for Trim Trails and Daily Mile Tracks. What Makes Trulawn Trail Ideal for Early Years Environments? Coiled blades, densely woven, are ideal for trim trails or Daily Mile Tracks due to their high durability. 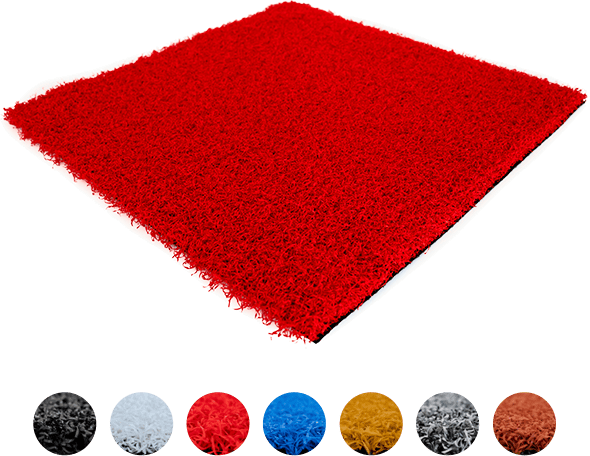 Flattening is limited, which is perfect for areas receiving prolonged usage and installation around play equipment. The tight weave of the grass and the short pile height, makes it an extremely low maintenance option for outdoor surfacing as it requires almost no brushing. If you’re conscious of ground maintenance costs then this is a cost effective alternative to natural grass. Trulawn Trail is available in 7 different colours for greater visual impact. Being able to incorporate creative thinking into outdoor areas, encourages kids to use their imagination whilst engaging in physical activity. 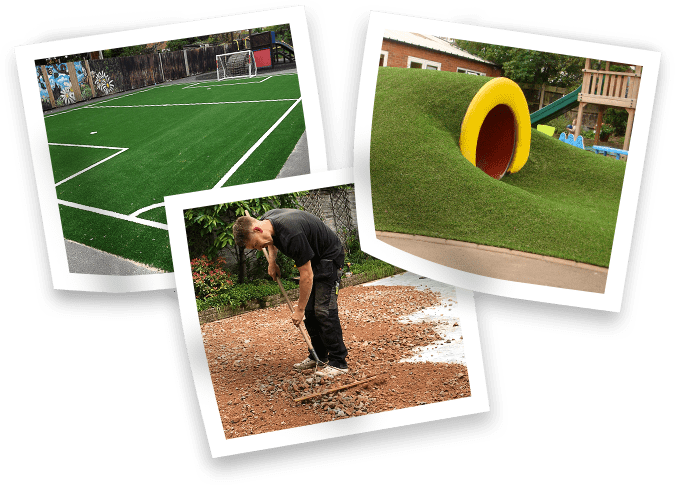 Trulawn specialise in artificial grass surfacing for education environments, having installed our products for more than a decade in almost 800 nurseries and schools across Great Britain. In the last three years, over 10% of schools where we have installed our artificial grass have chosen to install an additional area after the success of their first. We are consistently chosen by education providers because of the quality of our grass range, and first-rate installations. Want to Know More About Trulawn Trail for Schools? 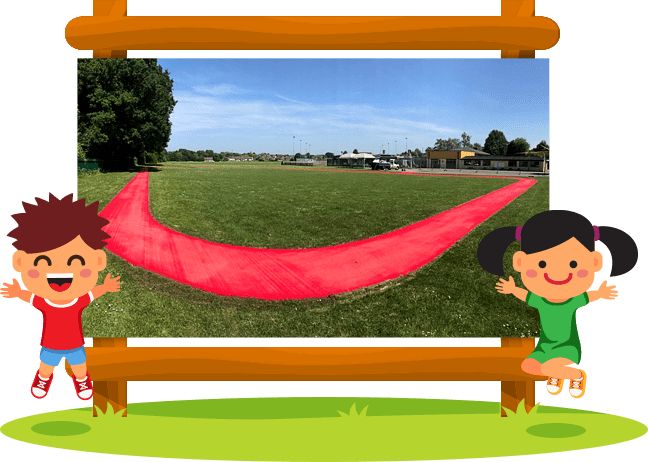 To find out how perfect Trulawn Trail is for a Daily Mile track at your school, please make an enquiry for more information and a FREE installation quote.